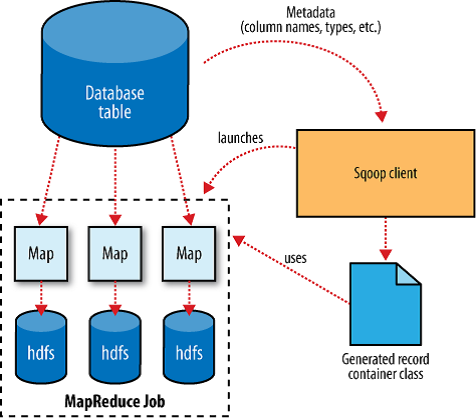 Sqoop is a command-line interface application for transferring data between relational databases and Hadoop. (or) Import/Export data from RDBMS to Hadoop(HDFS) by using sqoop. You can use Sqoop to import data from a relational database management system (RDBMS) such as MySQL or Oracle into the Hadoop Distributed File System (HDFS), transform the data in Hadoop MapReduce, and then export the data back into an RDBMS. Step 4: Now i need to load this table values into HDFS in other system(PC). 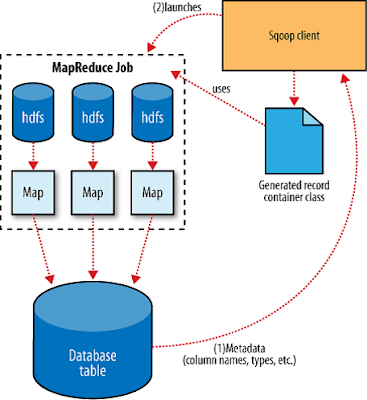 Let us assume we had already pre-installed Hadoop, Sqoop and other Hadoop ecosystem(cdh3/cdh4) available. bigdatariding@2013.com. Watermark theme. Powered by Blogger.